I went to summer camp many times before and I never got murdered, but horror movies always make summer camps more violent than the battle of Gettysburg. So many slasher movies have been made about summer camps that they’ve gotten their own very specific cliches. The upcoming film You Might Be The Killer, which won all sorts of acclaim on the horror film fest circuit, brings a Scream-like meta narrative streak to the sub genre. 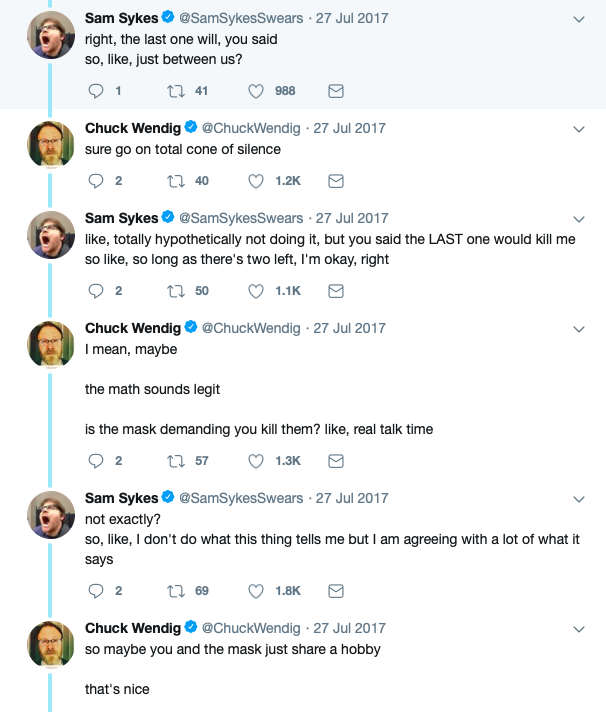 The story started as a joke twitter conversation between Chuck Wendig and Sam Sykes, with Sam pretending to be the killer and Chuck giving advice on what was going to happen. The story went viral and eventually became the movie. It goes on Demand tomorrow. 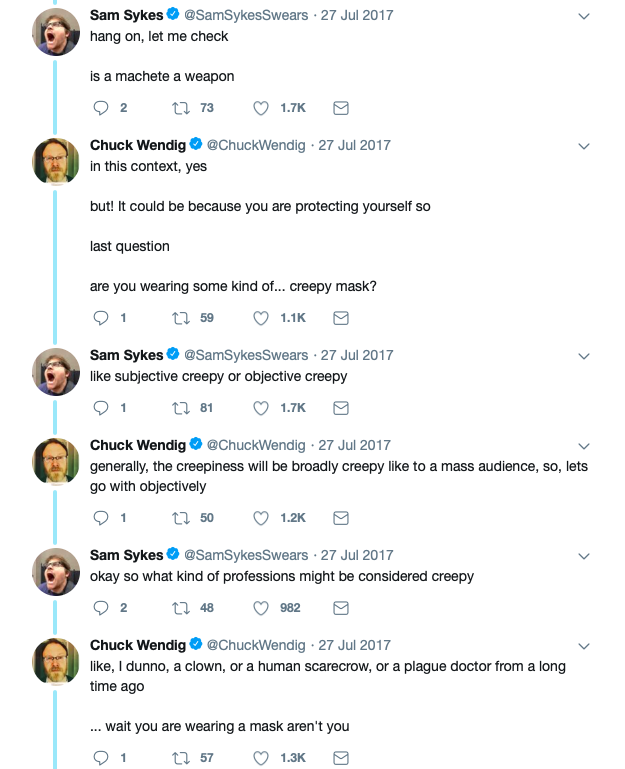 Check out the trailer below and read the original tweet thread below that.